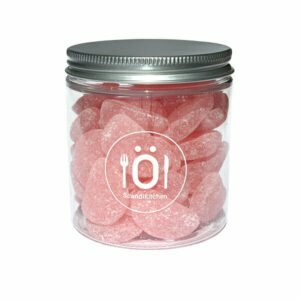 Sura Sjöstjärnor – Sour Seastars – Pick’n’Mix – 200g – Cute pink, green and yellow seastars – sweet and delicious with a lovely sour tang. Yummy and chewy – one of those that takes a bit of chewing but it is so worth it. Cute pink, green and yellow seastars – sweet and delicious with a lovely sour tang. Yummy and chewy – one of those that takes a bit of chewing but it is so worth it. Sugar, glucose syrup, starch, glucose-fructose syrup, acids, (Tartaric acid, citric acid), aromas, coloring agents (E141, E160e, E160a).